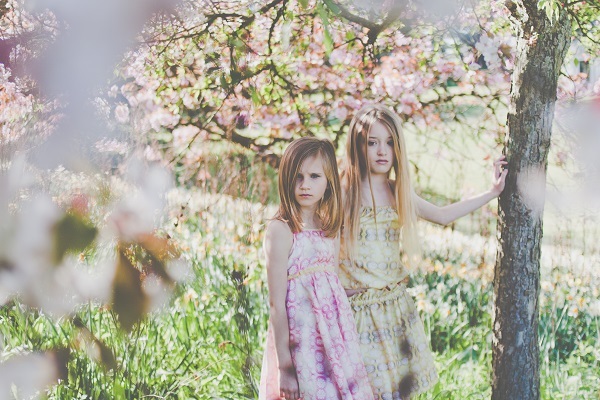 If you’re looking for quality girl’s clothing that’s individual, creative and quite simply exquisite, check out Lucy Peach Slice. We’re head-over-heels in love with this fashion label from the UK. One look at these designs and you’ll see why. There’s no doubt about it, clothing by Lucy Peach Slice just has that special something. Partly because each garment is self-designed and hand-finished, but also because founder and designer Emma Prigmore ensures that every item of clothing in her collection has a story. 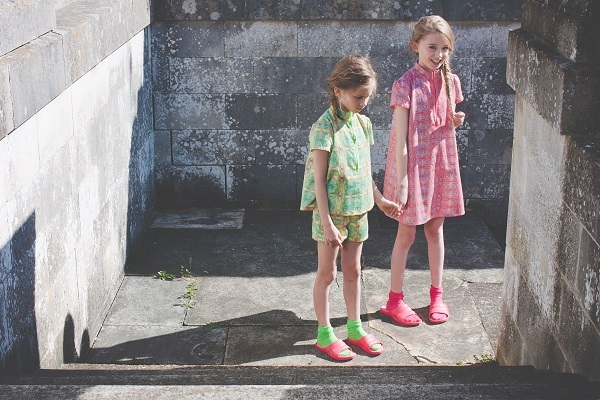 Mum of three Emma has always enjoyed sewing clothes for her own children, but it was her passion for design, clothing and retail that prompted her to start Lucy Peach Slice in 2013. Personal photographs are the basis of Emma’s designs, with inspiration coming from her adventures overseas to everyday life. The result? 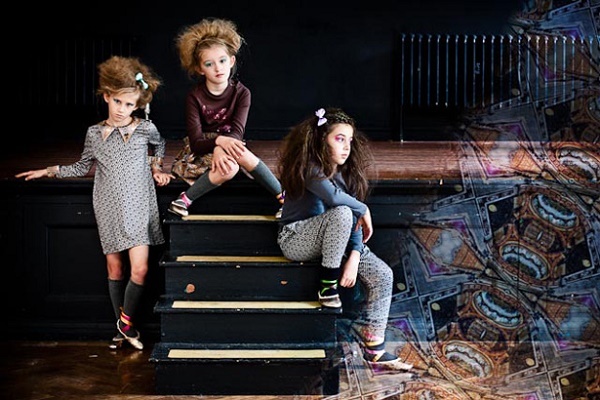 Bold, unique and eye-catching clothing for two to 12-year-old girls that’s a little boho and a lot beautiful. The Autumn/Winter 14 collection (shown here) is still available to buy online and every piece is absolutely perfect for an Aussie girl’s winter wardrobe. 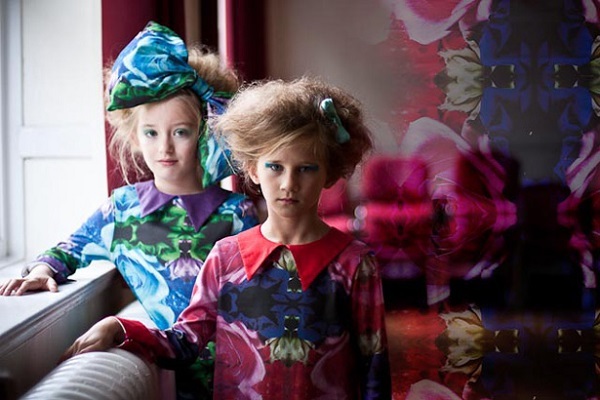 The collection comprises individually designed dresses, skirts, trousers and tees. Fabric designed from digitally-printed personal photographs make these pieces really stand out from the crowd. This super-soft Liza jersey tee (£21.50) has a unique handwritten logo that adds an interesting shimmering detail. A great tee for layering or wearing alone – and there are lots of colours available in the range. These cute and colourful skirts with the ruffled waistband and bold, vibrant patterns really caught my eye. 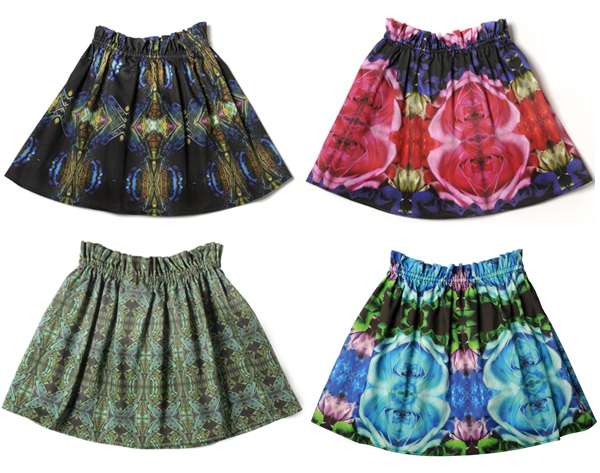 The Nellie skirt (£37) is available in six different designs, and all are gorgeous! 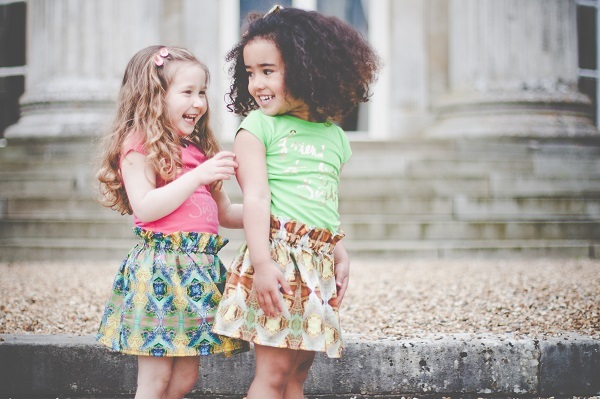 Made from pure cotton, the skirts are designed to be durable so great for everyday wear, but perfect for parties, too. The LPS range is striking and strong without compromising on femininity. 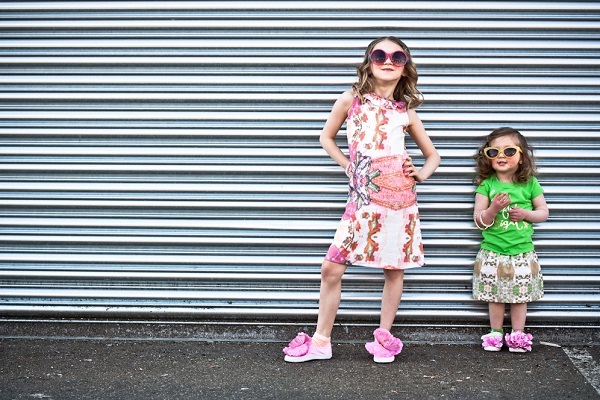 Little ladies who want to break away from the stereotypical ‘girly’ fashion mould will love these punchy patterns full of personality. 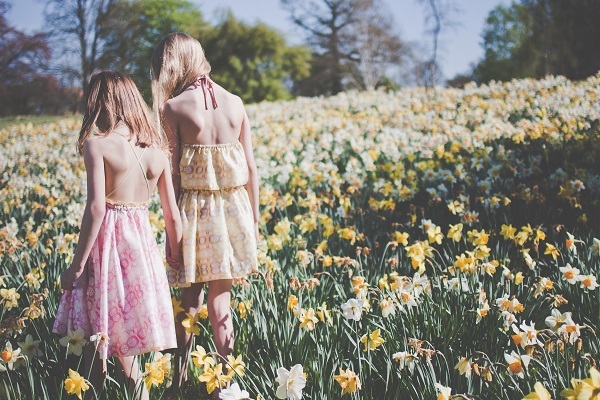 Emma is about to launch the Lucy Peach Slice Spring/Summer 15 collection (watch out for it in May) and we are super-excited to get a sneak peek. The collection is based on trips Emma took with her mother. “The prints are from photographs taken in New York, Barcelona and London. There are lift doors, ceilings, sculptures and pillars, all digitally enhanced to produce completely unique prints,” she says. So, your little girl can be a globetrotter without leaving home! Check out these divine outfits from the new collection. All of Emma’s designs reflect a balance between practicality and sophistication, with a good dose of quirkiness thrown in. Love these dreamy dresses (are we in summer yet?!). Prices start at £19 for a t-shirt with a handwritten message to £75 for a cotton/silk mix dress. Visit Lucy Peach Slice to view the full range. International shipping available.